Logan – Blu-ray review | What Hi-Fi? Logan sees Hugh Jackman finally hanging up his Wolverine claws, 17 years and nine films after they first went Snikt! He deserves a bit of a rest by now. Director James Mangold draws plenty of inspiration from the Western genre – an avowed fan, he finds time to insert a reference to 1953 classic Shane. 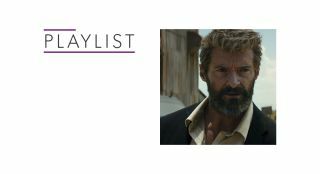 Like an over-the-hill gunslinger with a history of violence, Logan is presented with a chance to reconcile his past. He just has to wade through a whole lot of violence to do so. The clue as to what type of film this is lies in the name. X-Men Origins: Wolverine came across as confused as the title; The Wolverine (also directed by Mangold) focused on the animal inside; Logan is about the man, the legend he was and the scattered pieces of humanity inbetween. It's 2029, the X-Men are dead and mutantkind has all but died out. Logan is taking care of Professor X (Patrick Stewart) in a dilapidated mill near the US/Mexico border, driving a limo to help pay for medication to reduce Professor X's paralysing seizures, a result of his debilitating Alzheimers. Salvation and trouble appear in the form of Laura (Dafne Keen, in her big-screen debut), a young mutant being chased by the Reavers, led by Boyd Holbrook's Pierce. They're out to recapture the girl and put a lid on the illegal experiments carried out by his superior, Dr. Rice (Richard E. Grant). Logan is by far the most intimate of the X-Men films, a world away from the epic scale of superhero movies. The evil on show may be mundane, but it's no less threatening for being so. The opening scene starts with Logan's car being jacked and ends with limbs being lopped off, a pleasant family scene soon devolving into a slaughter. Logan does not shy away from the innate violence of the character, and the film is better for it. Logan is a broken, battered and harried figure. His regenerative ability is slowing and the years of violence, betrayed by the number of scars and lacerations on his body, are clearly catching up with him. Some have observed that Logan is loosely adapted from Mark Millar's Old Man Logan series, but this seems to have more in common with Clint Eastwood's Unforgiven. Jackman, allowed a film that digs with more depth into the character, puts in the best performance of his X-career. This Logan is more three-dimensional than we've seen before, a reticent, self-serving, angry individual who eventually rediscovers his heroic self thanks to his relationships with Xavier and Laura. Stewart is fantastic as a sad shell of his once brilliant Professor X, who's still graced with a few wits (including some unexpectedly foul language) and a backstory that lends tragedy and sadness to his character. His tetchy relationship with Caliban (Steven Merchant, hidden under makeup) is funny and brings genuine humour to the opening scenes. Dafne Keen is a revelation in her first role. While she may not talk much, she conveys such an angry, irritated presence it almost covers up the vulnerability and innocence beneath the tough exterior. It's both funny and disturbing when she starts stabbing grown men with massive, protruding claws. There are villains in Holdbrook's deliciously smarmy Pierce and Richard E. Grant's principled and fervent Dr. Rice, but they're a means to an end in some ways (a shame though, that Holbrook fades into the background towards the end). This is the Wolverine show and it's as bloody as it is brilliant. Logan arrived onto home entertainment platforms with both Blu-ray and 4K release. Judging by the Blu-ray release, the 4K must be magnificent because this is a great-looking and sounding transfer. Shot digitally, Logan has a film-like quality to the image - but there's no grain, making for a sharp and clear image. Blacks are deep and solid, with shadows nicely delineated - detail in low light scenes is particularly good. The tone of the movie may be bleak, but this is a very colourful film. Scenes, especially night scenes, are bathed in rich tones, lending a lovely sense of texture, vibrancy and richness. Detail, especially fine detail, is excellent, whether it's the dusty bodywork of Logan's limo, the various scars and scratches on Jackman's face and body or the masses of blood both he and Laura seem to be showered with throughout. It's for this reason we don't quite take to the Logan Noir version on the second disc. It's an interesting idea, but the lack of colour information reduces the visual effect and the violence, ironically, feels pared down. Night scenes still look beautiful though. Sound wise it's a similar result. Dialogue is communicated through the centre channel and is articulated well. Gunshots and punches convey plenty of force, the squelching sounds from either Logan or Laura stabbing someone are enjoyably unpleasant. Surrounds are expertly used, expanding the soundsphere when the moment calls for it, during one of Charles's seizures, for example, or during a funeral where the rain envelops the room. Bass is exploited to good effect too, again for Charles's episodes where it builds and builds. Marco Beltrami's score drops the superheroics, employing a harmonica for Logan and generally paring things down (though a few instances reprise elements of Beltrami's The Wolverine score). It's an atmospheric effort, with piercing sirens and moody rumbles working as an effective accompaniment for what's happening on screen. Logan is one of the best films of the year. It takes a character in his twilight and gives him some soul, while also telling an emotionally rich story about what essentially becomes a family unit. The action pulses with violence – finally Wolverine fans get to see some full-on action – but the character work resonates more than the action here and that's what makes Logan memorable. Logan is a fitting end for a great character, and the Blu-ray puts in an equally excellent performance.